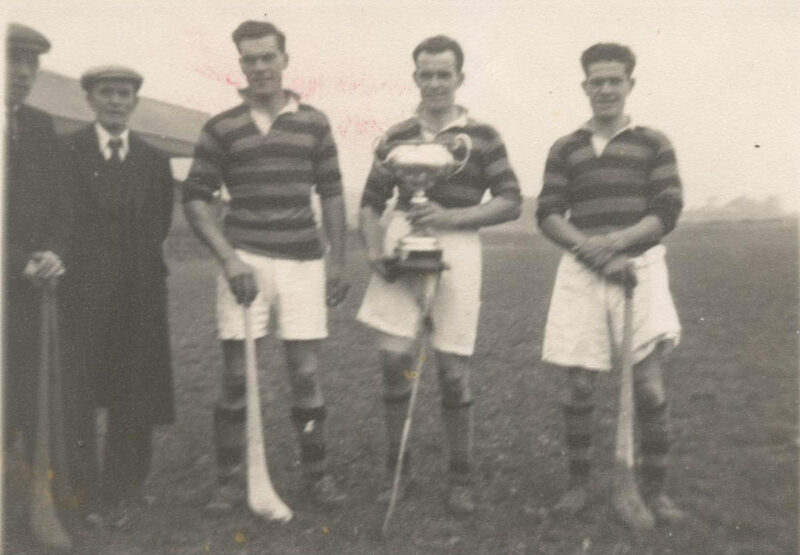 This page aims to list every player to have captained McQuillan GAC to a championship title. Some captains are unknown and if you are able to provide more detail do not hesitate to get in touch either via email pro@mcquillangac.com or private message the club Facebook page. 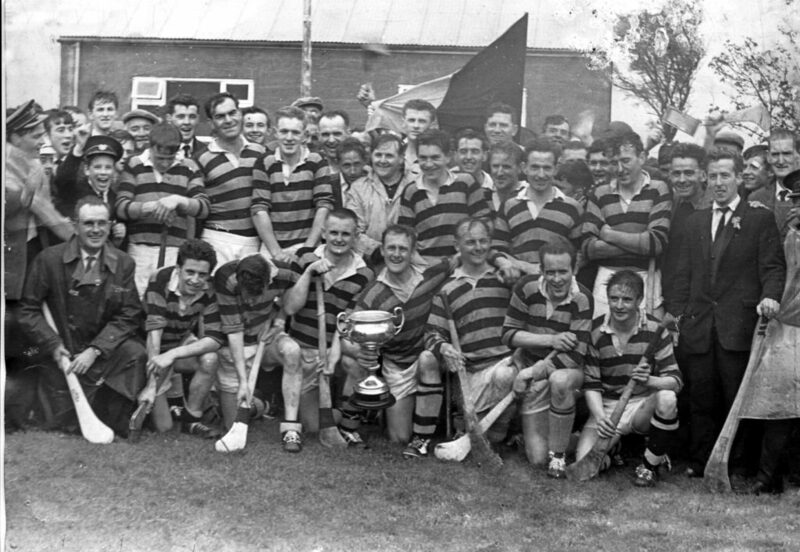 Many past and current players hold unique achievements as captain of MacUílín CLG Baile an Chaisleáin over the years. McQuillan GAC have won championship titles at Antrim Senior, Junior and U21 level as well as the Ulster Club Senior Hurling Championship. Highlighted below are the four players who captained the club to its first win in each competition. 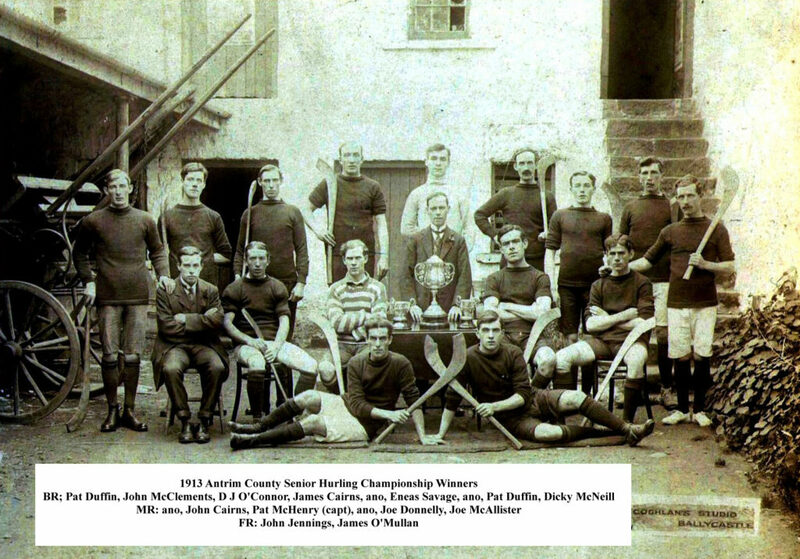 In 1913, Pat McHenry led McQuillan GAC to its first county championship title, following it up with another in 1914. 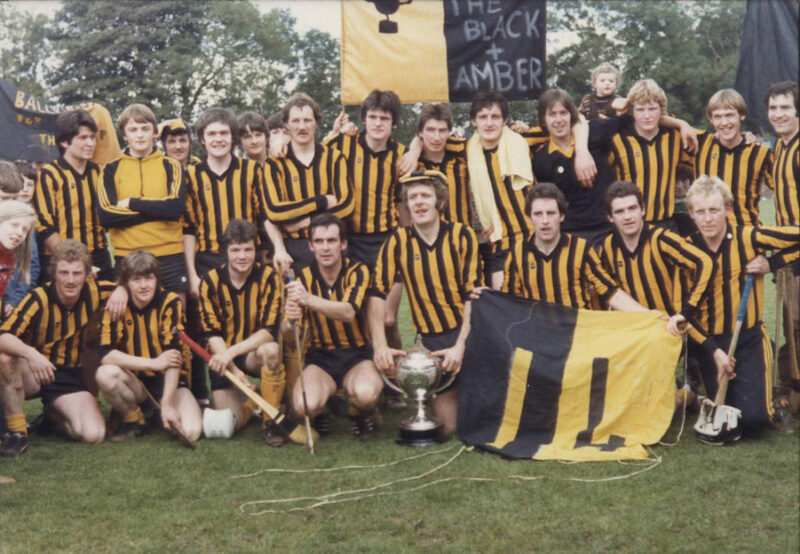 In 1978, the Ulster Club Senior Hurling Championship title was won by the club for the first time with Seamus Donnelly leading the side. 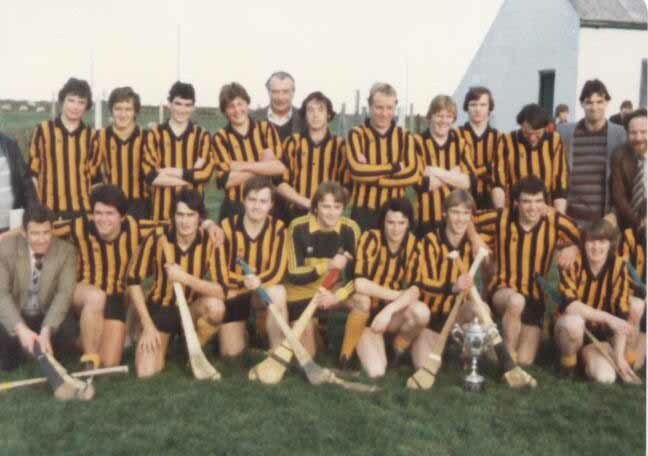 Paul Kelly (Front row, third from right) was the first (and only) player to captain the club to an Antrim Junior Hurling Championship title win in 1980, he also won a senior medal the same year. 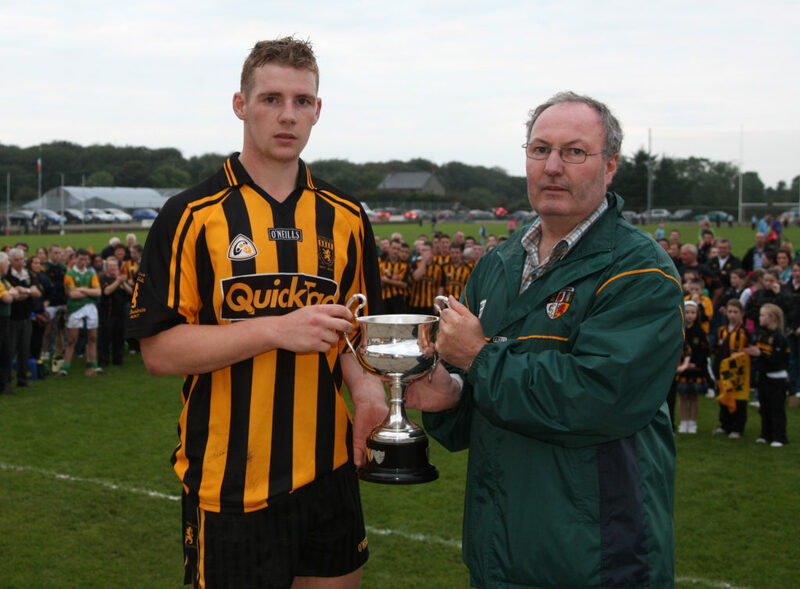 Neal McAuley was captain when McQuillan GAC earned the Antrim U21 Hurling Championship title for the first time in 2007, the club’s centenary year. Pat McHenry (1913 & 1914) and Brendan Donnelly (1952 & 1953) are the only players to have captained the club to back-to-back county titles. 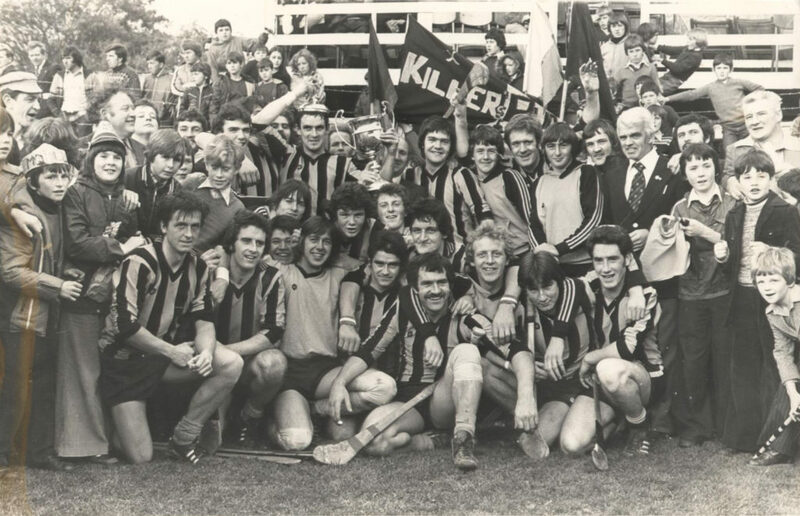 Kevin Donnelly is the only other player to have been captain of two county championship successes but these were five years apart in 1975 & 1980.